StrengthsFinder 2.0: Are You Using Your Talents Effectively? In the last couple of months, I have been reading oodles of books. One of the books that I’ve come across is StrengthsFinder 2.0. There really isn’t much to the book on the inside, except for the first 30 pages or so, but there is a tear away code that you can use to take the StrengthsFinder test online. Unfortunately, I had borrowed this book from the library, so I was at a loss. However, I did some digging around on the internet and came across this site, which offered an access code (for a price) without the book. While buying the code from this site is more than buying a new book from Amazon ($20 vs. $15), I wasn’t interested in keeping a copy of StrengthsFinder (and, wasting more paper in the process), so I reasoned that just buying the code was satisfactory. I would imagine that most people inclined to take a test like this (or any test, voluntarily), are probably the kind of people who have already taken tests, so they would have some idea of where their strengths would lie. This was the case with me, but it’s always nice to have your strengths/talents validated in another survey/test. In the first 30 pages of the book, the author makes the claim with data from research, that it has been discovered that working on one’s weaknesses is actually counterproductive. He offers the formula that one’s talents plus one’s investment (time spent practicing/developing skills) equals a strength. He argues that spending time developing one’s talent into a strength is a much better usage of one’s time (where most developmental tools argue that one should work on their weaknesses). The author isn’t advocating a total write-off of one’s weaknesses, it is still important to know where one’s weaknesses are. I can very much identify with the five themes that I was assessed as having. In fact, you could probably even further group these a little more. Competition and Achiever go together (people who compete also, I would think, often achieve), and then these two also fit together nicely with Learner (as you learn, you achieve, yes?). The one thing that I think would have been cool about this that wasn’t available (or maybe it is for a fee?) is to have a readout of who else (famous or otherwise?) has a similar make-up to you. They say that they’ve polled over 10 million people, so I have to think that someone out there has had these 5 themes. In fact, I can be nearly certain using the combinations and permutations calculator. There are 501,942 different combinations of the 34 themes (choosing 5 each time), and if we want to take it a step farther, there are 45,435,424 different combinations (when we account for the order of the themes). So, while there may not have been someone who had the same 5 themes as me in this order, there is a very good chance that there is at least 1 other person who has had these 5 themes on their score. I understand that supplying information like this would need permission from all of the people who have taken the test and getting permission after the fact is a difficult thing to do. 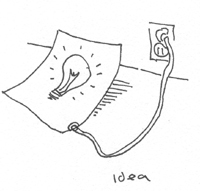 And as I take a step back from this idea, I realize that I’m merely confirming one of my strengths (Ideation). 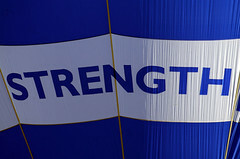 This entry was posted in Wisdom and tagged Strength, Talent, Test. Bookmark the permalink.